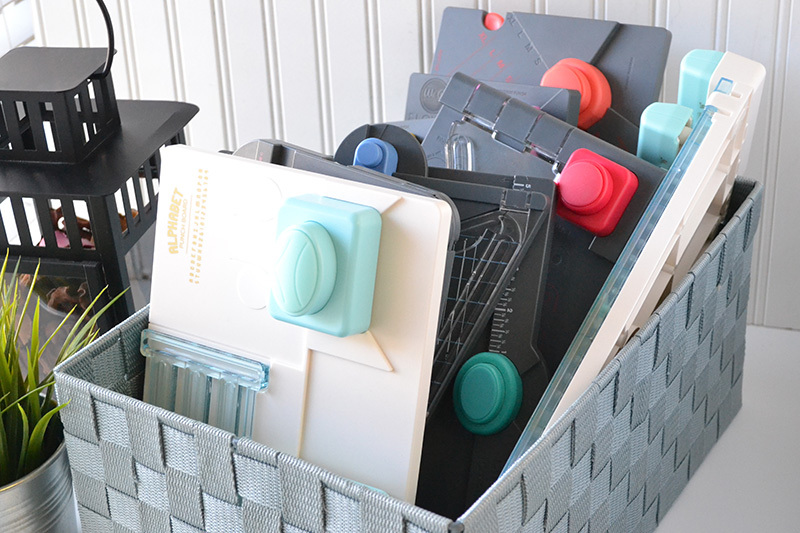 Storing and organizing craft supplies can be a challenge. It's something I'm constantly working on and perfecting. Craft room storage and organization can have a big impact on my productivity and creativity, so I try to find systems and methods that work well for me. 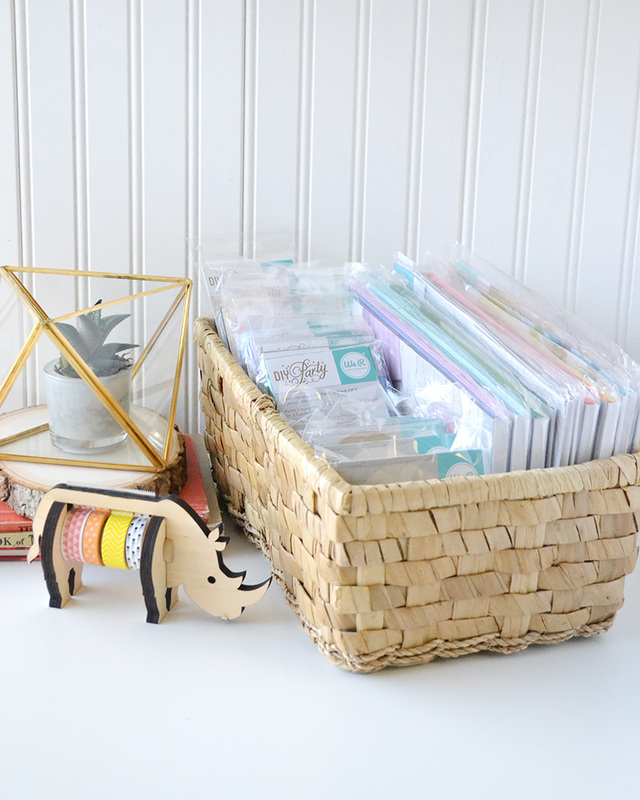 Today I'm sharing my most current method of organization, which includes a lot of baskets. I'm a big fan of including baskets in any space. I love the organic feel and texture they add. 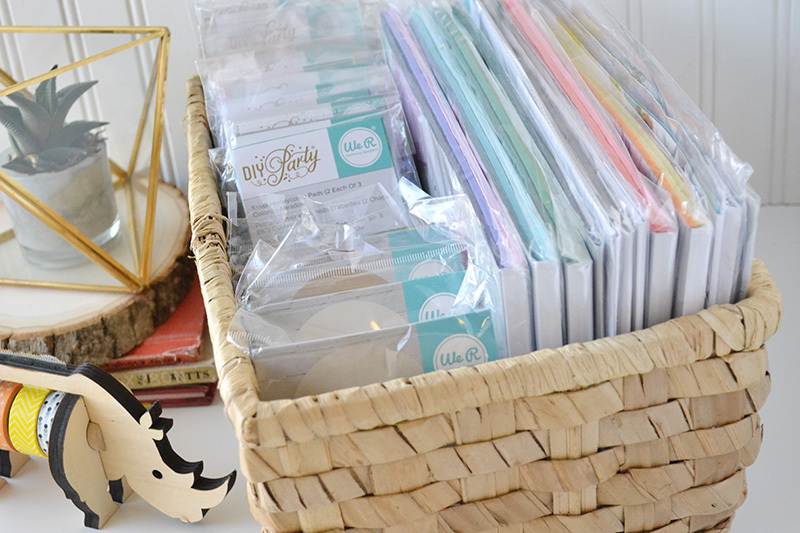 I have a ton of baskets of various sizes, styles, and colors in my craft room so I use them to store some of my favorite We R Memory Keepers tools and collections. This post was part of Storage and Organization Week on the We R blog. CLICK HERE t0 find all those posts filled with great tips. 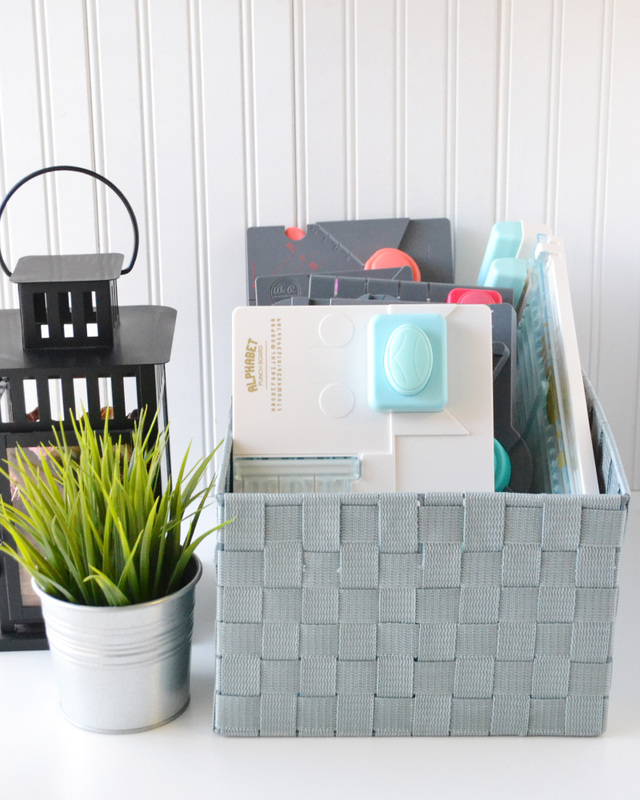 First off, this rectangular basket is the perfect size to fit my DIY Party Honeycomb Paper Pads, honeycomb accessories, and jumbo balloons. The large pads fit horizontally, and the small pads, accessories, and balloons fit vertically. I keep the pads in their packaging so they don't get ripped or folded. I find it really helpful to keep full collections stored all together. With the way I create that seems to be the most effective method of organization for me. I love my set of oval Nate Berkus baskets from Target that I've had for forever. They're perfect for storing punches and smaller tools. I try to keep tools stored together that overlap in how they're and when they're used. 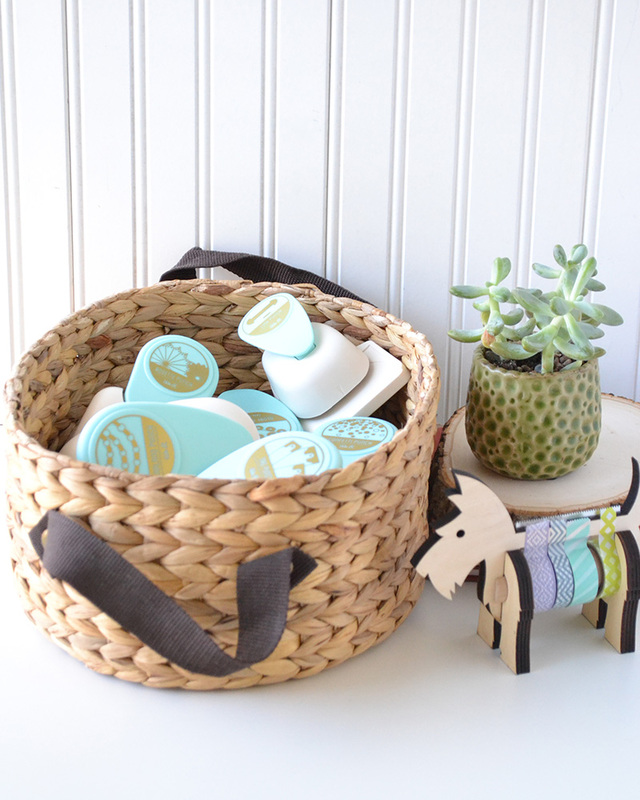 This oval basket fits all of my DIY Party Punches perfectly. I tend to use these punches for similar projects so it makes sense to keep them together. 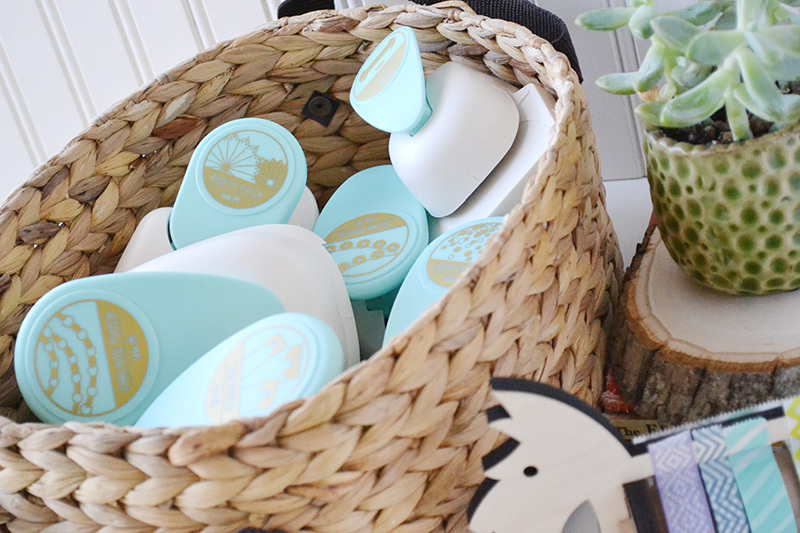 Plus, I can stack these oval baskets on top of each other to save space in my craft room. Finally, I've got all of my Punch Boards stored in a sturdy, large fabric basket. Most of them fit perfectly when standing up vertically, except the the Fringe and Score Board which fits laying on its side. My instruction booklets are tucked along the side next to the Fringe and Score Board. Storing my punch boards has been a bit of a challenge in the past, but I've been pretty happy with this arrangement. It works really well for me. In this case these tools aren't necessarily used for similar projects (though sometimes they are), but they're related to each other. They're all punch boards and it works for me to keep them stored together. Do you have any craft supply storage tips to share? How to you keep your craft tools stored and organized? That looks way too put together to count as "storage" in my opinion! It looks more like a shop display as it is, as if people can walk in and pick one off your counter and bring to the cashier!